I received the following press release about the upcoming PEI International Beer Festival earlier today. 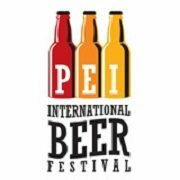 This will be the second beer festival on the Island in September with the PEI Beer Festival taking place Thursday, September 6th and Friday, September 7th. Charlottetown event grounds on Grafton St.
(Charlottetown, PE – September 5, 2012) Festivities for the 1st annual PEI International Beer Festival will start a day earlier as a result of a new partnership struck with Labatt Breweries. Labatt Blue has chosen to kick off the new beer festival with the national celebration – Ultimate End of Summer Party†. Labatt Blue recently held a national vote to find Canada’s Most Iconic Town and Charlottetown came out the winner with the most votes in the country. To celebrate the win, Labatt Blue is hosting a free Ultimate End of Summer Party on September 27, 2012 beginning at 7 p.m. at the new Charlottetown event grounds on Grafton St. to kick off the 1stannual PEI International Beer Festival. Entertainment confirmed to date includes singer-songwriter Chris Dalziel and Island rockers Bad Habits with more surprise guests yet to be announced. In addition to the Ultimate End of Summer Party, Labatt Blue will award one local charity The Good Stuff Award, a $25,000 grant to benefit their work in the community. Guests at the party will vote for their favourite charity from a list of three finalists as determined by Labatt Blue. Charities who are interested in applying should contact labattblue@edelman.com to receive an application form, additional details and deadline info. Charity finalists are encouraged to invite their supporters to the Ultimate End of Summer Party where the winner will be voted on live at the event. Come out and celebrate hometown pride with great entertainment, special guests and of course, cold Labatt Blue as the kick off to the 1st annual PEI International Beer Festival. †No purchase necessary. Ultimate End of Summer party guests must be 19 years of age or older to attend. This September 28th and 29th downtown Charlottetown will come alive as the Prince Edward Island Brewing Company hosts a vibrant mix of world-class brewers, Island chefs, and a variety of late night entertainment as the 1st annual Prince Edward Island International Beer Festival kicks off at the new Charlottetown event grounds on Grafton St. As an official Fall Flavours Culinary event, this new festival will showcase Island ingredients from land and sea prepared by local chefs as each culinary offering is created to pair with some of the most prestigious beers of the world. Over sixty varieties of International beer are confirmed to date from the following breweries: MolsonCoors, Labatt Breweries, Pumphouse Brewery (Moncton), Picaroons Brewing Company (Fredericton), Garrison Brewery (Halifax), Erdinger Weissbrau (Germany), RockBottom Brewpub (Halifax), Stiegl (Austria), Fruii (Belgium), Affligem (Belgium), and many more yet to be announced. In addition to the beer and food sampling sessions, each evening will culminate with a variety of entertainment within two distinct tents, each offering a genre of entertainment different from the other. This eclectic mix of entertainment will bring the flavour of many different events together in one convenient location on the new Charlottetown event grounds on the corner of Grafton St and Water St.
Tasting sessions will take place on Friday evening, Saturday afternoon and Saturday evening with tickets ranging from $45 – $55. Late night entertainment only tickets are available for $20. All tickets are available at www.peibrewingcompany.com/beerfestival.